and use your talents to serve Him. Do you feel a calling to help children grow in their faith? 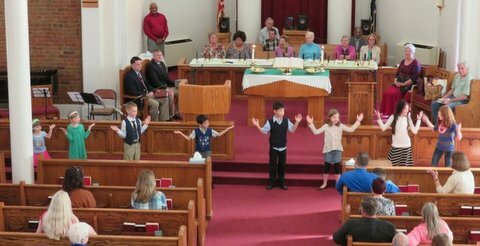 The goal of children’s church is to provide Biblical teaching in a fun and safe environment. This is also a way to support parents during the worship time. 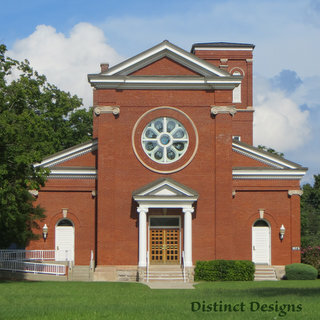 Children’s church teachers must complete required background check paperwork prior to service. 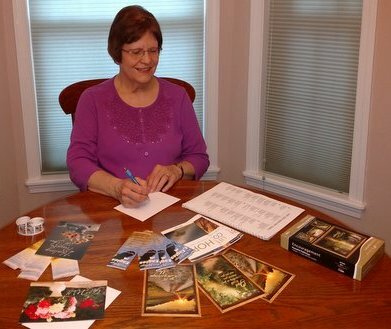 Do you enjoy meeting people and making guests feel comfortable? Just ask about being an usher or greeter! 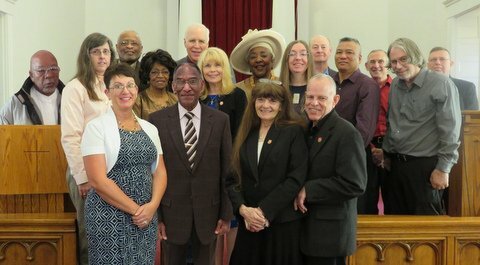 Want to participate in the worship service? Lay Readers take turns praying and reading God's Word at the start of the service. 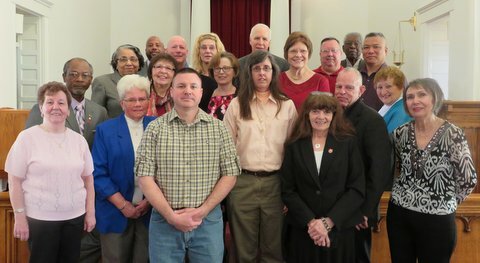 Our choir provides special music on Sunday mornings. Choir practice starts at 1815 on Tuesday evenings at Main Post Chapel. If you would like to participate, please contact Dee Corkran prior to practice. Do you have a talent for playing an instrument? Our orchestral group plays the congregational songs on Sunday mornings. Different combinations of musicians provide offertory music during the service. Want to help prepare for the Worship Service? Our Altar Guild sets up for the worship service and assists with the sound system. Want to enlist as a Grill Sergeant? 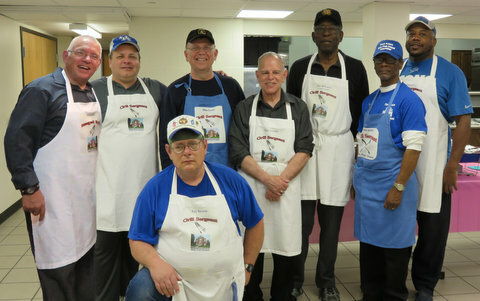 Our Grill Sergeants setup and serve food at our weekly Sunday luncheon. 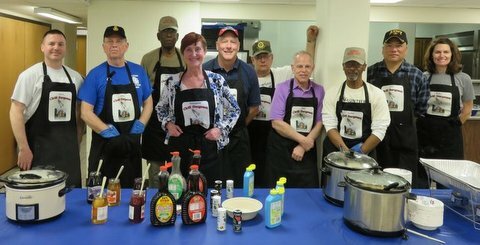 Plus, they prepare a tasty breakfast for special events like Easter Sunrise Service and National Prayer Breakfast! Know someone from the congregation who is hospitalized or sick? Please contact our Sunshine Ministry coordinator. 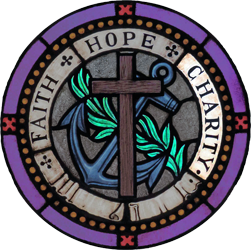 Would you like to encourage and help others at Chapel? 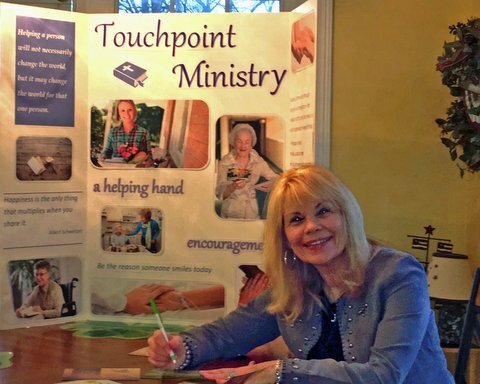 Touchpoint Ministry is about reaching out and touching members who are in nursing homes, hospitalized, or lonely with a word or call of encouragement, visit, or meal. If you would like to assist, please contact our Touchpoints Ministry coordinator. Know a Chapel member who is deployed? Please contact our Deployed Soldiers' Ministry coordinator. The Traditional Service is grateful for each of our deployed military members! 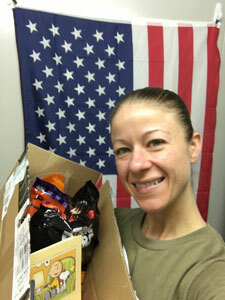 We would like to send a care package to express our appreciation to them. Do you enjoy handyman projects? Previous Chapel projects include building a prayer booth, Christkindl Market booth, and tract rack! When men are needed, we will be there. Contact Ray Barany if you would like to use your skills for this worthy cause! In mid - November, we dedicate the gift-filled boxes. Want to learn how to share your faith? 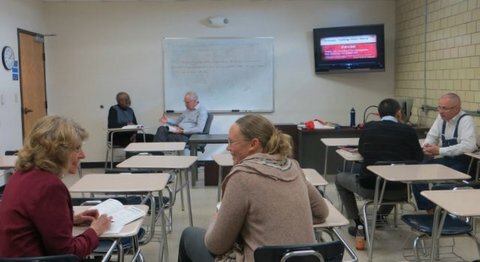 Attend the Contagious Christianity Class! It teaches how to be an effective witness for Christ in a way that fits your personality! Ask about the next class! Or, find out about opportunities for you to teach Bible studies!